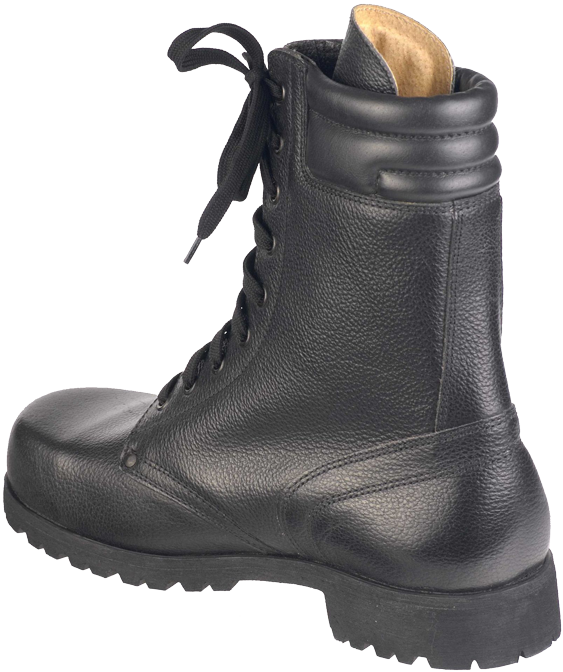 The out-sole made of stiff vulcanized rubber is glued and stitched to the boot's top. 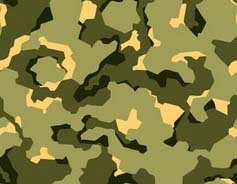 The tread pattern is of the new Czech design, and the size and the manufacturer ("Prabos") are indicated there as well. Winter boots and heavy insulated boots in Czech language are colloquially referred to as "Canada" ("Kanady"). Since the Czech footwear manufacturing traditions are very different from the Canadian ones (which, in general, follow the British and American trends of shoemaking), most likely, the name "Kanady" is intended to emphasize the suitability of these boots to harsh Arctic climate conditions. 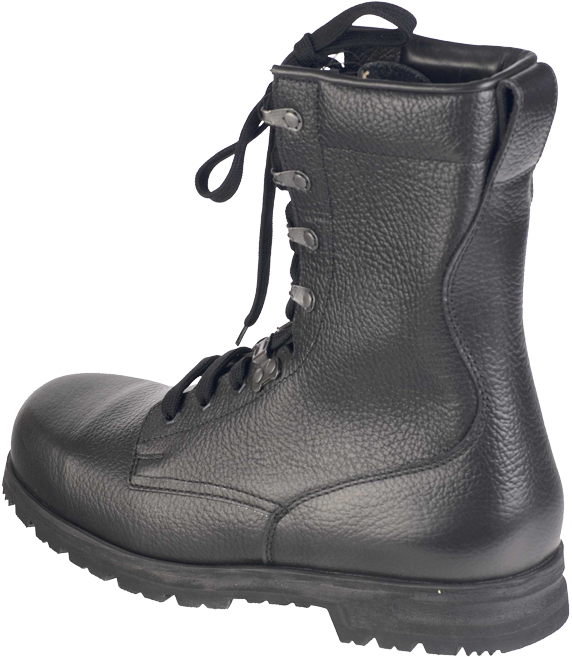 Czech winter boots come in several versions. All of them are distinguished by wide "collar" padding to keep warm. Artificial fur or multi-layer textiles are used as the thermal insulation material. 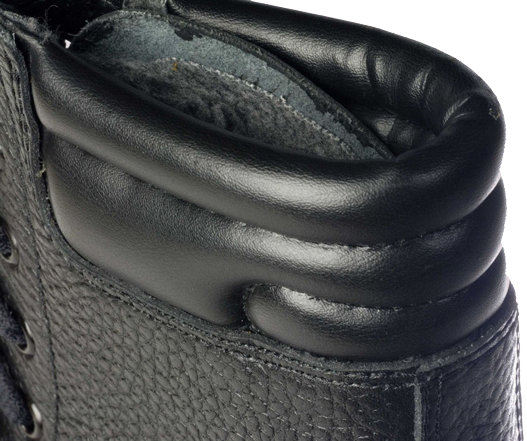 The toe can be reinforced with an additional layer of the leather. 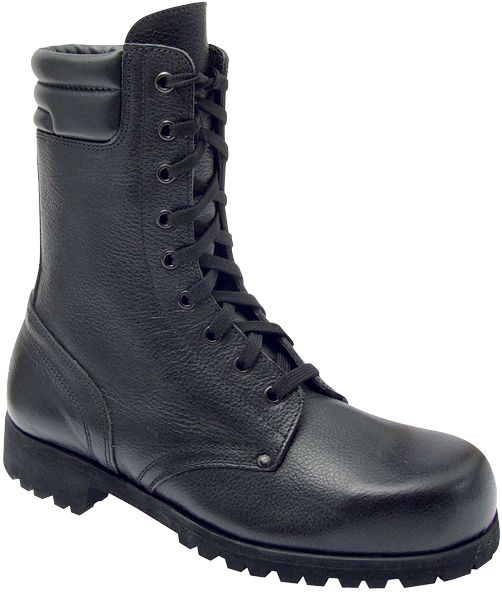 Except for the leather "collar" padding, this model is similar to the last modification of the Danish M/58 model boots, where the lacing hooks at the top of the boot are replaced with round eyelets. 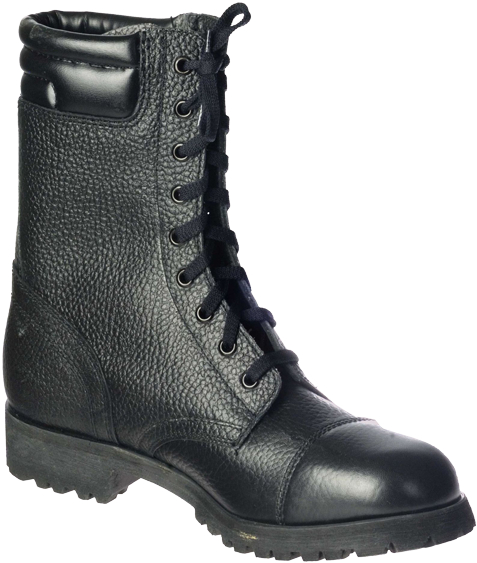 These Czech boots feature the lacing system, consisting of nine pairs of simple round eyelets. 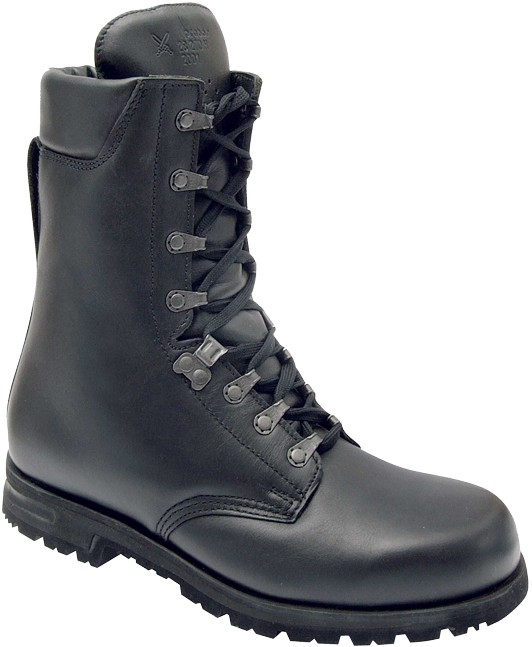 The heels of these boots feature no longitudinal grooves, the leather of the top is grainy, with hydrophobic impregnation. All the above models are of black colour. 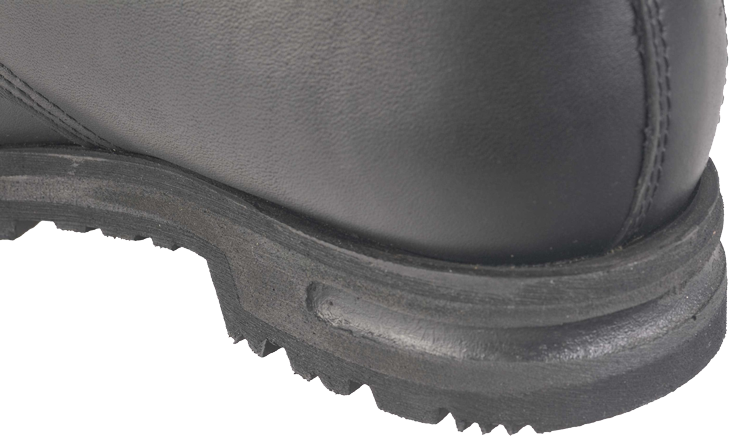 The tread patterns of the out-soles are the classic "Vibram". 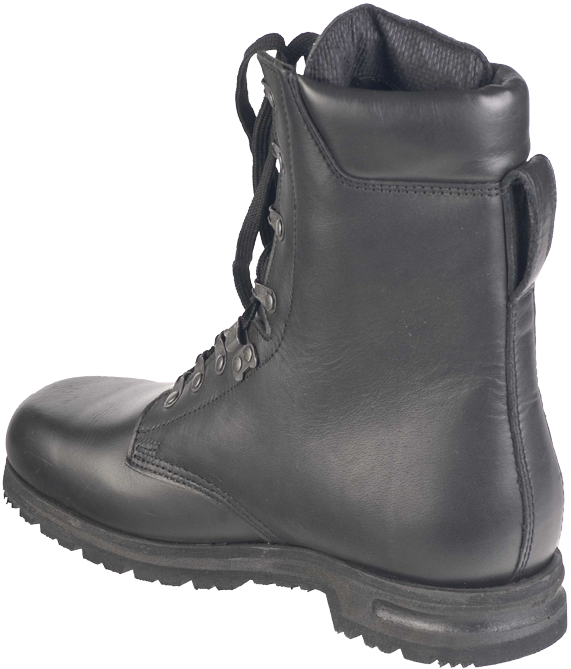 One can assume that during development of "Slavex"-type winter boots by "Prabos" company, it were the Dutch army M90 boots ("NL Legerkisten"), which were taken as an example to follow. 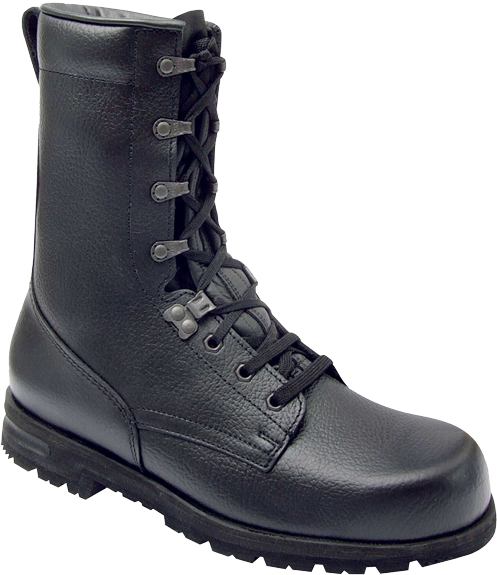 The differences consist in the tread pattern and out-sole material (vulcanized rubber in the Czech boots and nitrile rubber in the Dutch ones), the presence of a leather loop for lacing in the rear upper part of the boots (the Dutch boots lack this detail), and the material of the lining inside the boots (the Czechs use insulation fabric, and the Dutch prefer "glove"-type leather). 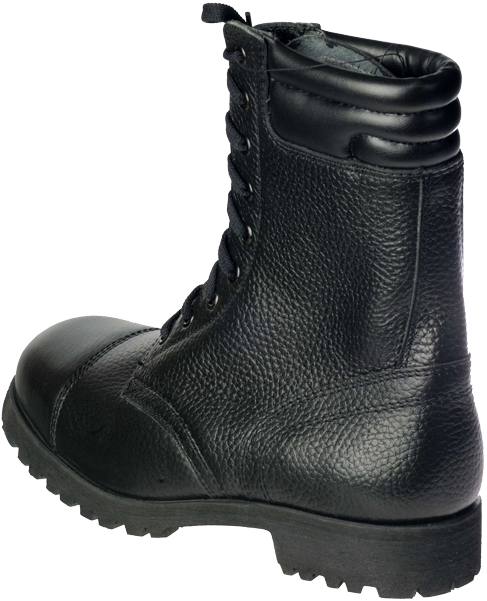 On the outer sides of the heels there are longitudinal grooves, just like on the Norwegian M-77 boots. The out-soles feature new type tread pattern, similar to the most contemporary boots.